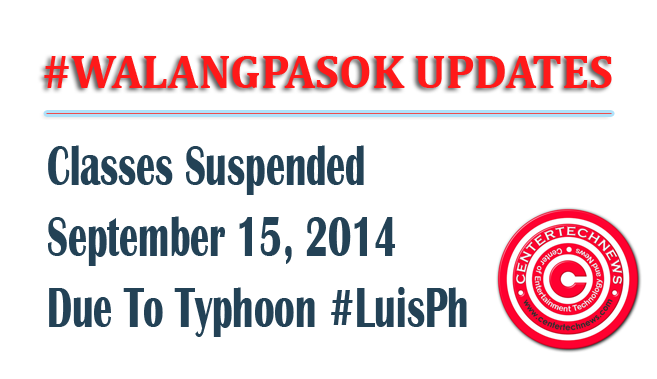 #WalangPasok ADVISORY for September 15, 2014: Typhoon Luis as 11 areas were put under signal no.3 by PAGASA Sunday morning, September 14. #LuisPh is expected to leave PAR by Tuesday, Sept. 16 by gaining a distance of 607 km west-northwest of Laoag City. 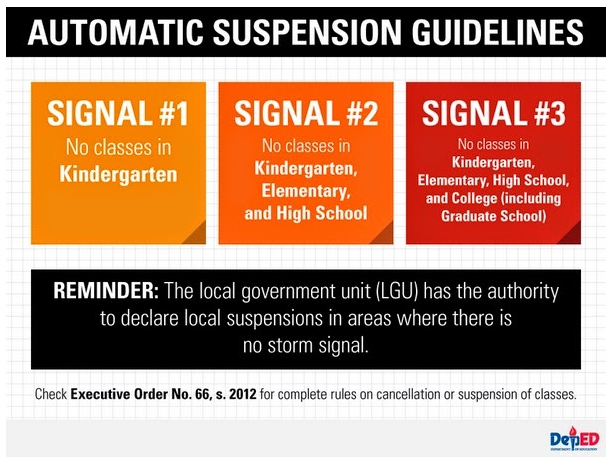 If you are looking for the list of class suspension, please see details below. According to PAGASA, the states weather agency, Typhoon Luis, harboring maximum sustained winds of 130 kph, is 550 km in diameter. It has also the gustiness of 160 kph. As estimated, Luis may also give a rainfall of around 8-20 mm per hour, which could be considered as heavy to intense. See detailed Storm Signals and Locations here.